Pair of adult mountain cycle bike reflector steel pedals. 100% Brand New High Quality Bike Reflector Steel Pedals. Designed for all adult bike use. Nonslip and avoid damage to shoes. These pedals fit the majority of adult mountain bikes and some BMX's. It has the most common thread size in the bike world. Suitable for mountain bike, folding bicycle and road bike. Foot adopts sealed bearing design. 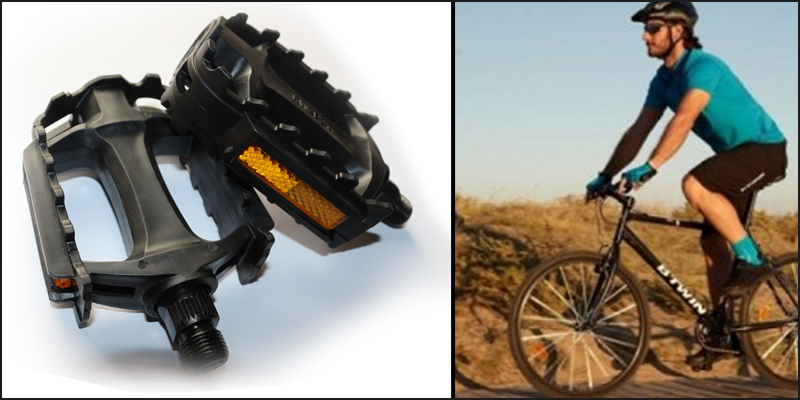 Flat Pedals Manufactured from high material, with large grip platform and reflectors. 1x Pair of adult mountain cycle bike reflector steel pedals.